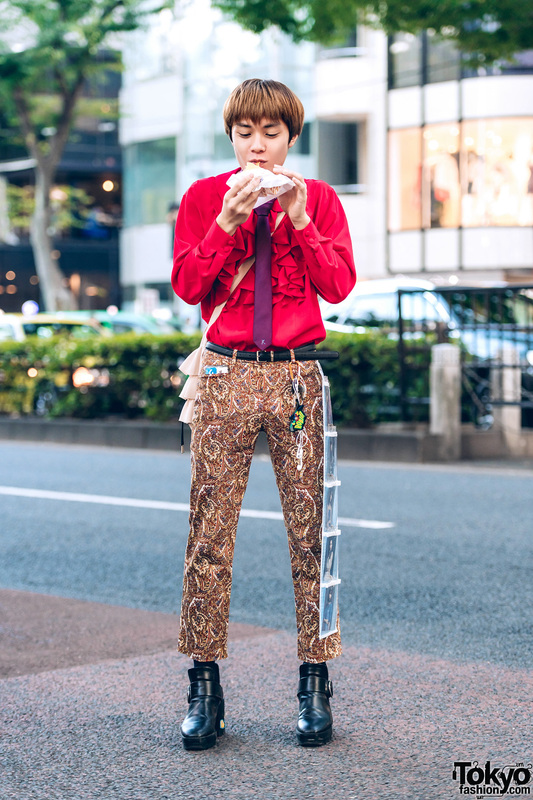 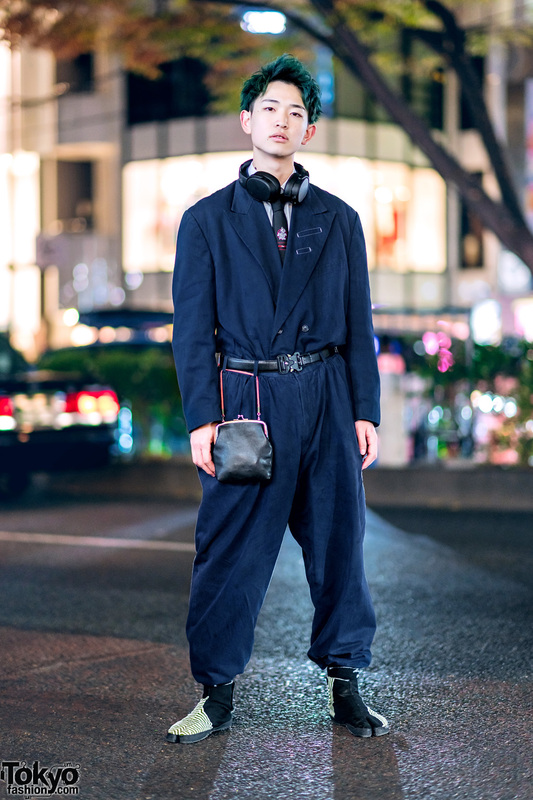 Crimson Skeleton in Harajuku sporting a pinstripe blazer, slim pants, white sneakers, furry satchel bag and leather zipped gloves. 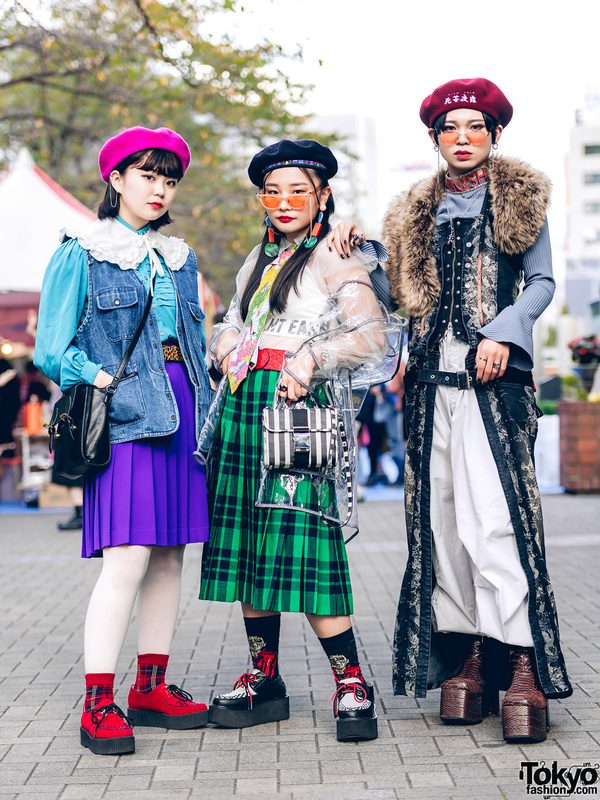 Japanese teenagers in vintage streetwear while out in Harajuku. 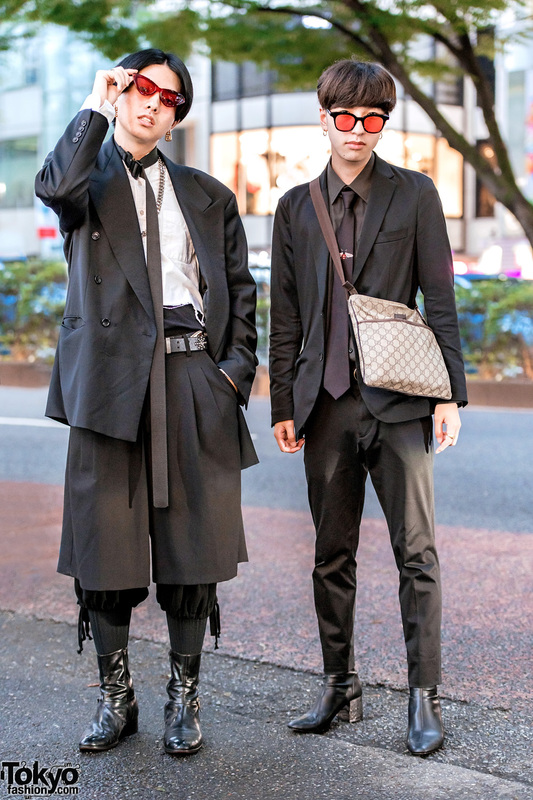 Fashion college students in edgy monochrome streetwear styles while out and about in Harajuku one evening. 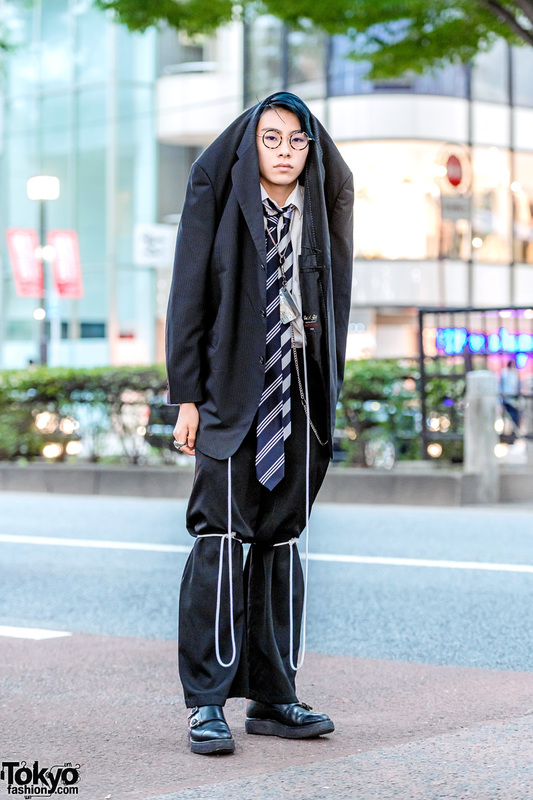 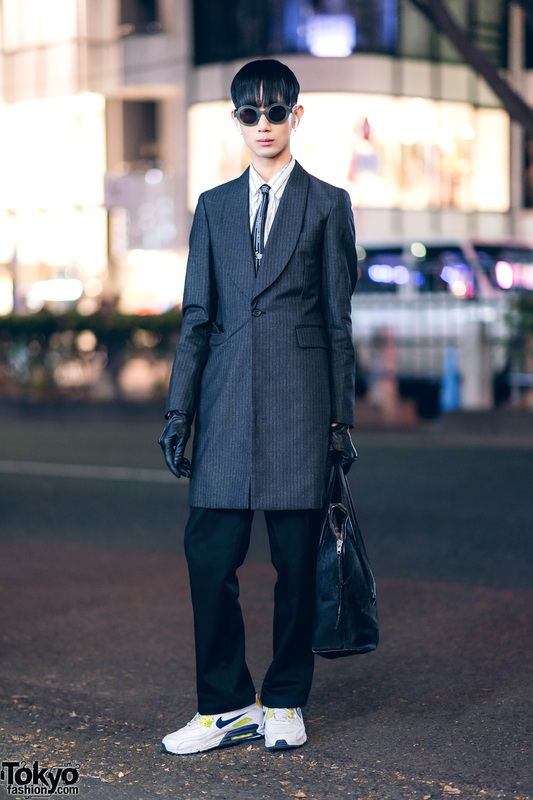 Japanese student sporting a black suit fashion style with pinstripe blazer over his head, white collared shirt, double neckties, black pants, leather shoes and accessories.